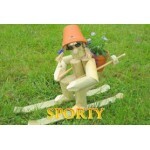 Many of our sportsmen and sportswomen garden ornaments include seasonal flowers. 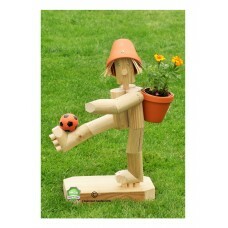 Footballing Boy or Girl kicking a football - standing on a wooden plinth. A Seasonal Plant is includ.. 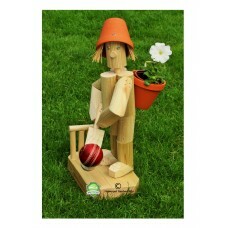 Wooden Flowerpot Man or Woman Cricketer (let's not be sexist about our sport). 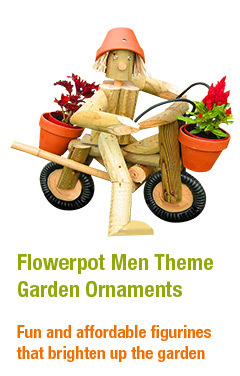 This flowerpot man ha..
Flowerpot Garden Gifts Sitter in a Go-Kart Planter. 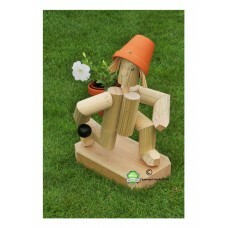 Includes 4 Seasonal plants for the planter behin..
A wooden Flowerpot Boy or Girl Green Bowls Player kneeling on a wooden plinth. 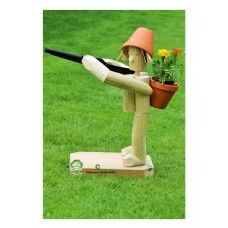 A Season..
A flowerpot man standing on a tree trunk plinth holding a rifle. 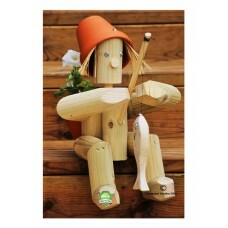 He has a terracotta pot on his back.. 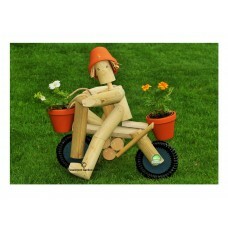 Boy or Girl riding a Motorbike - head turns left or right. 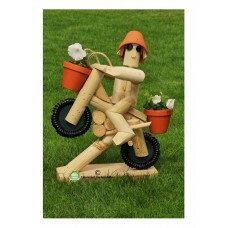 Includes 2 seasonal plants for the Ter..
Motorbiker doing a Wheelie! The bikers head turns left or right. 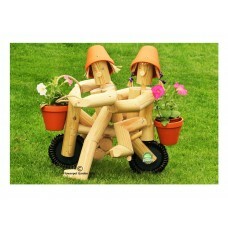 Two seasonal plants are included f..
Twosome on a Motorbike! Boy Biker and Girl Pillion Passenger. Their heads turn either way 2 Seaso.. This Skiers head turns left or Right. 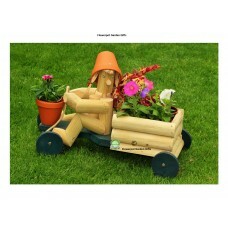 Includes a seasonal plant for the terracotta pot on the back .. 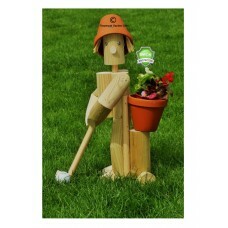 Boy or Girl Golfer and Golf Trolley. 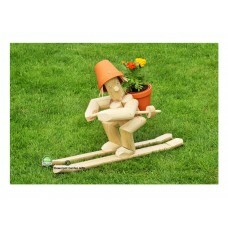 A seasonal plant is included for the Terracotta pot on the Golf..